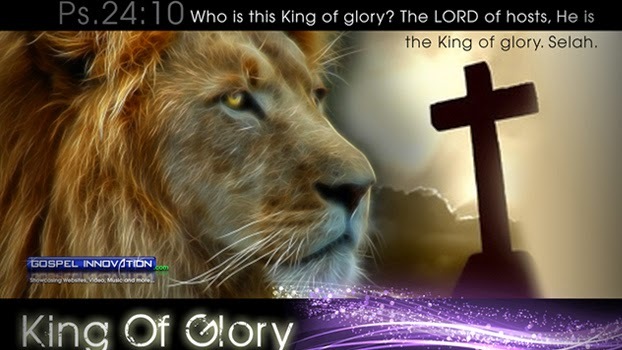 * Who is this King of glory? The Lord strong and mighty, the Lord mighty in battle. *Lift up your heads, O ye gates; even lift them up, ye everlasting doors; and the King of glory shall come in. * Who is this King of glory? The Lord of hosts, he is the King of glory. Selah.